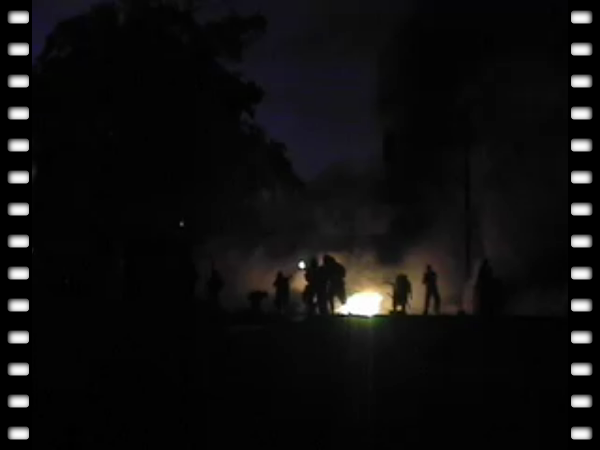 video from Atenco, Mexico, where the people have been brutally repressed by government forces while defending their land. After blockading the state high way for six hours on Wednesday, the people of Atenco rose up in solidarity with their embattled flower vendor friends in nearby Texcoco. Later in the early hours of Thursday, hundreds of police entered the city center to violently evict hundreds of people gathered to defend the center. This video whows the early morning invasion by police. Parts have been blurred to protect the identity of compañer@s.